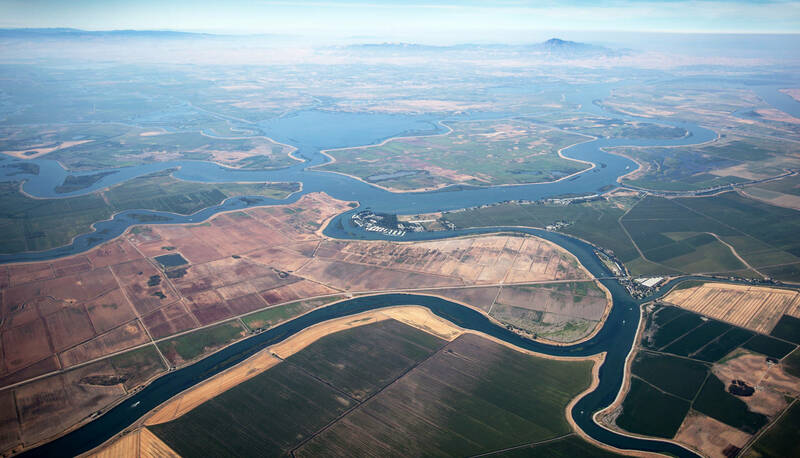 FRESNO — Southern California's largest water supplier was temporarily blocked from buying sprawling farmland that could be used to help build twin tunnels under the Sacramento-San Joaquin River Delta, a court ruled Tuesday. 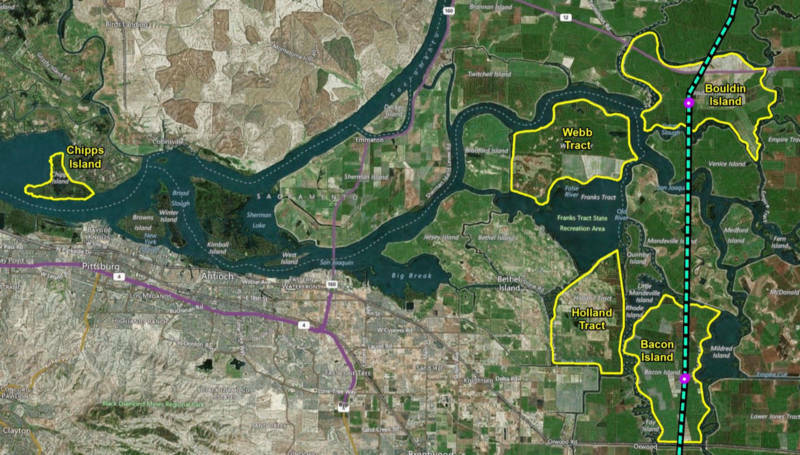 The state's 3rd District Court of Appeal in Sacramento granted a temporary restraining order the day before escrow was set to close on Metropolitan Water District's $175 million deal for 20,000 acres. The ruling delays the district's purchase by no more than a few weeks, Metropolitan attorney Catherine Stites said. "We don't believe it's a substantive decision," she said, adding that the court probably needs more time to review hundreds of pages of documents filed in the case. Metropolitan will ultimately be cleared to buy the land at the hub of California's water system east of San Francisco and more than 300 miles north of Los Angeles, Stites said. San Joaquin and Contra Costa counties filed suit against Metropolitan, a major backer of Gov. Jerry Brown's plan to build the tunnels to send water south. The counties, which oppose the tunnels, contend that Metropolitan failed to study how the deal may harm the fragile delta before buying the land from a Swiss investment group. Metropolitan officials say the lawsuit is premature because it has not formally decided how it will use the land. The district says it may use it to store earth from the tunnel project or for habitat restoration to ensure a reliable supply of delta water to its customers. The $15.7 billion tunnels plan awaits regulatory approval before work can begin. Also Tuesday, the State Water Resources Control Board dropped a historic $1.4 million fine against the Byron-Bethany Irrigation District, accused of illegally taking river water at the height of drought last summer. The board found that its enforcement officers could not prove their case against Byron-Bethany and a second district, West Side Irrigation, which was ordered to stop taking water but not fined.